What are some of the Top hikes in Peru? Peru is one of the top destination in South America for all hike and adventure lovers. There are a wide range of outdoors activities available in this South American country, due to its different climates and geography. 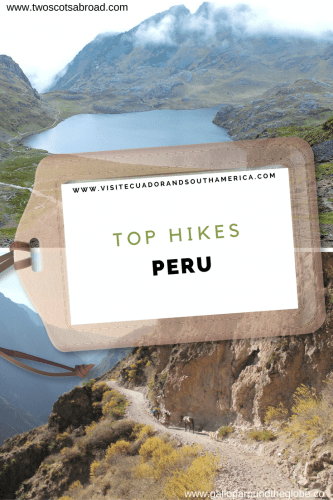 I have gathered here what some of my fellow travel bloggers consider are the top hikes in Peru! If you are in Perú I would love to see your pictures. First of all we have the hike of Choquequirao. Nelson Mochilero from mochileros.org has chosen Choquequirao as his top hike in Peru. “Choquequirao is a place as wonderful as Machu Picchu but less known. The reason is because is a virgin place free of crowded tourism and the only way to get there is through a hard trekking of several days camping along the trail. Is a marvelous architectural complex at 3,035 meters of height that needs you to climb since 1,461m. The trekking is free and you don’t need a travel agency or special permit to do it meanwhile you do need it for the populous “Inka Trail”. Gemma says: Although most people trek to Machu Picchu via the Inca Trail, there are other options which don’t box you into a specific pre – booked date. One of the highlights of the Lares Trek was meeting the local kids. Our company brought them bread and hot chocolate, they ran from the hills with their rosy cheeks and colourful outfits to greet us. So cute. One of the toughest challenges was reaching the highs of 4650 metres above sea level at Condor’s Pass. It was snowing up there! However, within minutes we headed downhill and were faced with the beauty of a lake. The scenery was outstanding. Machu Picchu day was pretty impressive too! 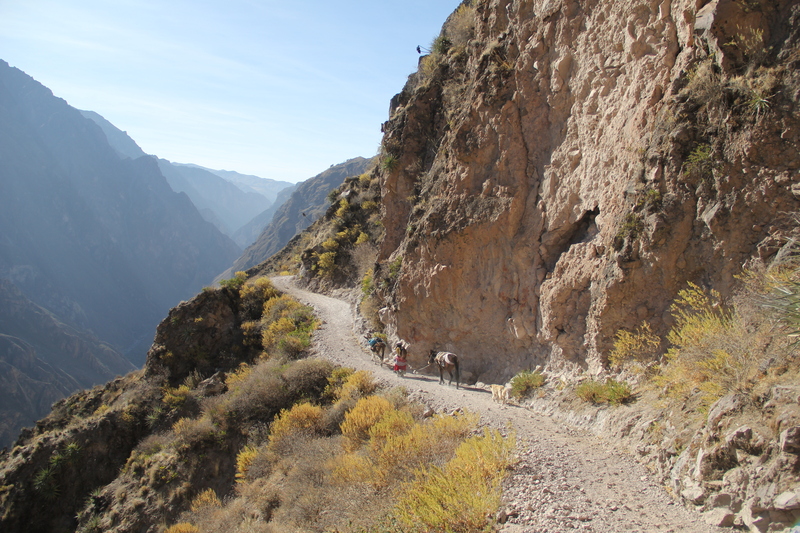 Kiara Gallop from Gallop Around has chosen Colca Canyon as her top hike in Peru. “One of my favourite hikes in recent years was the one I completed through the Colca Canyon, near Arequipa in Peru. The Colca Canyon is the world’s second deepest canyon, just a smidgen shallower than its Peruvian neighbour, Cotahuasi, and almost twice as deep as the infinitely more famous Grand Canyon in the US. There are several trekking companies who will guide you through the area along well-trodden routes, but hike this area independently, and take some of the trails away from those the standard tour groups choose, and you’ll find yourself – for the most part – completely alone. This was one of the major reasons that I loved hiking the Colca Canyon so much – because it felt like our very own off-the-beaten-path adventure. One of the other reasons was that we ended up with our very own four-legged friend, who joined us as we left Cabanaconde on the first morning, and stayed with us through the entire duration of our two-day trek, sleeping outside our little wooden bungalow in Tapay overnight. In addition, here you can read all about hiking the Colca Canyon independently. 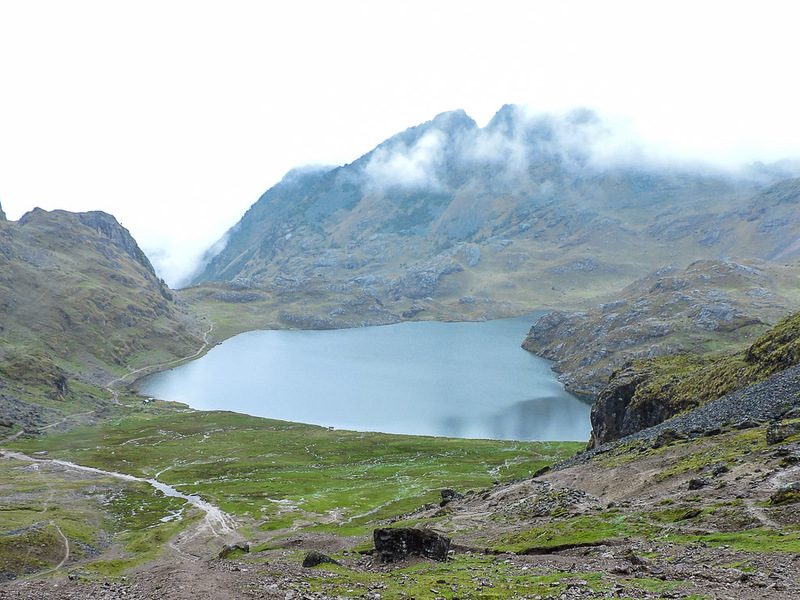 Jon Algie from Jon Is Travelling has chosen Laguna 69 as his top hike in Peru. In conclusion, there is a lot more to Peru when it comes to activities outdoors than Machu Picchu. 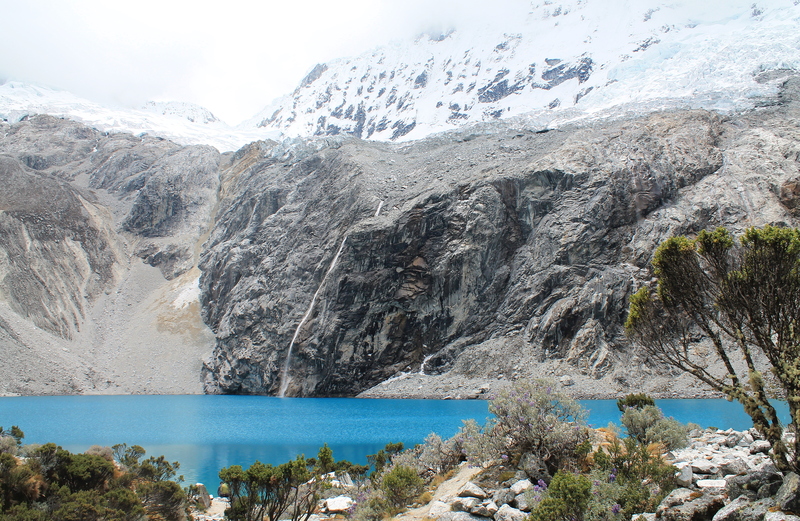 Make sure to plan your trip accordingly in order to enjoy some of the top hikes in Peru.